The nearly complete fossil of Piranhamesodon pinnatomus. The fine details preserved in the fossil are truly incredible. Piranha-like creatures capable of biting chunks of flesh from their victims appeared some 150 million years ago, according to new research. The nearly complete fossil of this oddly piranha-like fish was discovered in German limestone deposits that are 150 million years old. 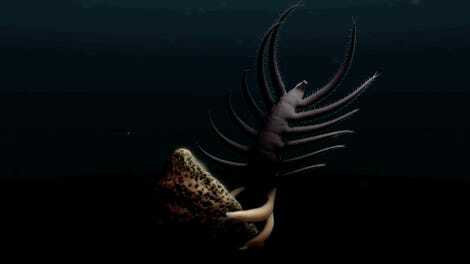 Artist’s impression of Piranhamesodon pinnatomus—now the oldest known flesh-eating bony fish. The newly described species is unique in that it features distinctly piranha-like teeth, which Kölbl-Ebert says it likely used to bite off chunks of flesh from other fish. Remarkably, Kölbl-Ebert, along with her co-author David Bellwood from James Cook University, found evidence to prove this. 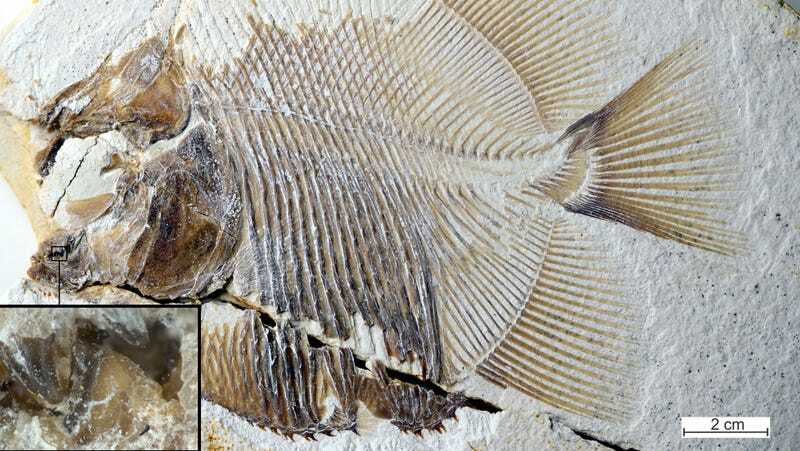 Fish fossils uncovered in the same limestone deposit had wounds consistent with bite marks, such as chunks missing from fish fins, perhaps caused by a creature very much like P. pinnatomus. Kölbl-Ebert and Cook analyzed the fossil using a microscope, but they also conducted CT-scans to investigate the back of the fossil and the interior of its mouth. They also measured various features, such as muscle length and jaw lever, to estimate the bite force exerted by the fish, and to compare it with other contemporary and modern fish, including piranhas. Results revealed long, pointed teeth, and a bone forming the roof of the mouth and upper and lower jaws. Importantly, it featured triangular teeth with serrated cutting edges. 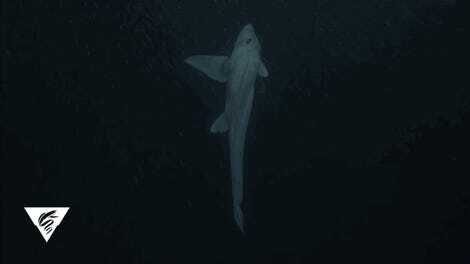 Its mouth, the researchers say, was most definitely capable of slicing into flesh or fins. What’s particularly amazing about P. pinnatomus is that it’s not related to modern piranha, so it’s a striking example of convergent evolution, where similar traits emerge in non-related species. The discovery of P. pinnatomus suggests fish with the capacity to tear into flesh appeared earlier in the paleontological record than previously assumed. Another cool aspect of the discovery is that P. pinnatomus, unlike today’s freshwater piranhas, lived in the salty ocean. Ah, the Jurassic. We’d expect nothing less from this remarkably brutal period in evolutionary history.